OPEN 810 EMS – DEOS Controls Americas Inc. Powerful, modular, and highly flexible. 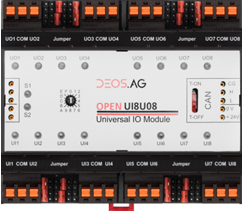 The OPEN 810 EMS is a programmable, modular and scalable platform controller and an integral component of the DEOS OPEN system. The Internet of Things starts here! 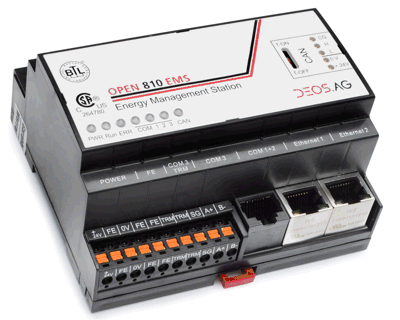 The OPEN 810 EMS is a native BACnet Platform Controller, that connects multiple BACnet or Modbus devices to a BACnet/IP or BACnet Ethernet network. Its optional capabilities make it a highly flexible multi-device! Thanks to the OPEN 810’s second Ethernet switch, several controllers can be connected in a daisy chain topology. This makes it easy to set up your Ethernet network, eliminating star-shaped central switch configurations. As a result, you can wire controllers directly, thus reducing wiring requirements by up 75% and saving you both time and money. All Controllers and I/O Modules are designed for easy mounting on a 35mm-wide DIN rail. 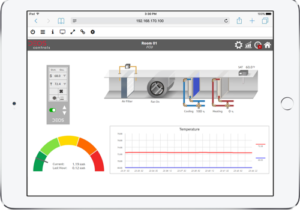 Built on the newly developed embedded web Server utilizing HTML 5, the complementary Graphical User Interface OPENview provides an array of built-in features such as Trend-Log Visualization and Playback, Alarm Monitoring, Multi-Site Management, and User-Level Management. 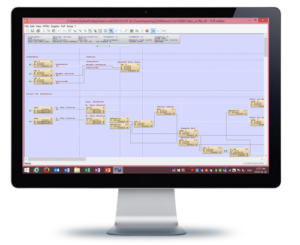 Thanks to free programming capability in FUP XL, DEOS’ Graphical Programming Software, you can create and program complete independent systems. This provides maximum flexibility as well as the high-powered foundation for convenient, fast, and reliable system programming. 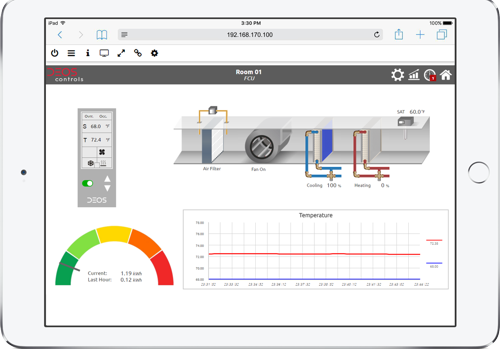 Alternatively, choose OPENproject for efficient Drag&Drop configuration of the OPEN 810 and lading all connected controllers throughout the entire project at the same time.